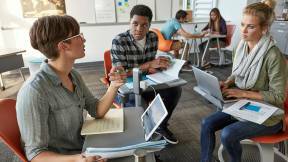 The makers movement moves into education. 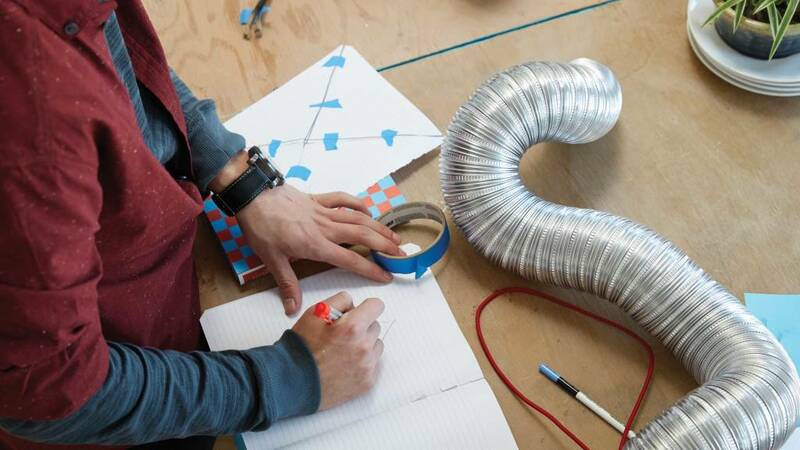 The maker movement—a confederation of people with a passion for creating things who create communities to share equipment, space and ideas—has become a phenomenon throughout the world. Maker Faires, maker spaces and Make Magazine are visible signs of what some are calling a new “do-ocracy”—a renaissance of hands-on tinkering among groups of people who share resources and support each other’s creativity. Widespread and fast-growing, the maker movement invites speculation about why it’s occurring and what its enduring impact may be. Most agree that advanced technologies such as 3D printers, still too expensive for most people to buy on their own, have spurred the movement. But there’s also growing opinion that the maker mania may be a cultural reaction against a world that’s become too virtual for comfort. “We need to find our way in a tactile world again. We need to return from head to foot, from brain to fingertip, from iCloud to earth,” as Richard Kearney, a philosophy professor at Boston College, recently stated in The New York Times. 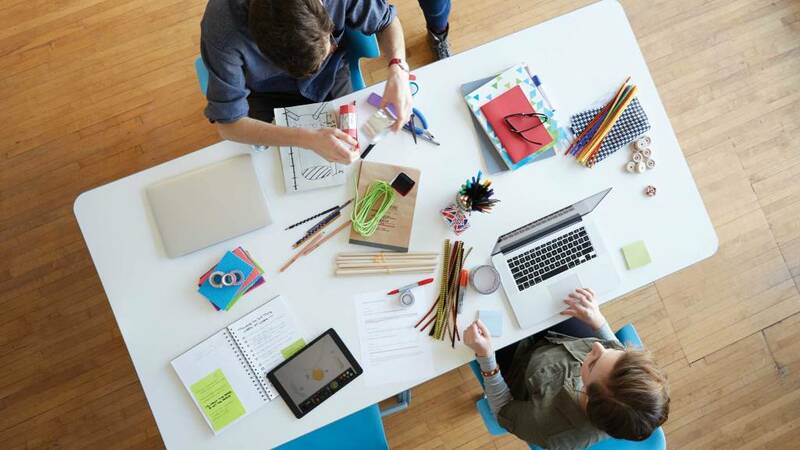 Whatever the drivers, as its influence expands, the maker movement is making inroads into education, especially high schools and universities, where it’s informing new perspectives as well as reinforcing already-trending tenets of active learning. 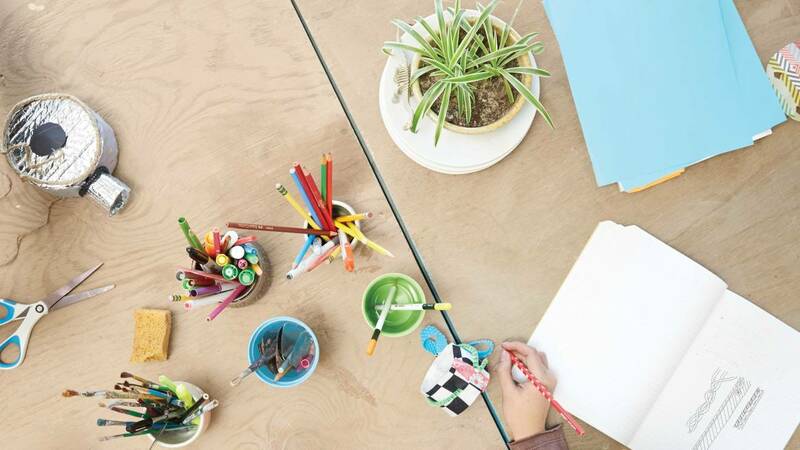 Within education, maker spaces are emerging within or alongside innovation labs — settings where people engage in collaborative experimentation and problem-solving across a range of disciplines, increasingly using design-thinking methodologies. Whatever is being practiced, it’s an active and collaborative way of thinking and approaching challenges. Although design thinking has its origins in design and engineering, it’s not limited to those fields and the outcome isn’t necessarily a physical object — what Doorley calls “stuff.” Whether people are creating objects, systems or ideas, the maker movement dovetails into pedagogies focused on moving education from primarily a didactic delivery-of-facts mode to a more active, generative mode: “Learning to do as you do to learn,” as Doorley describes the process. 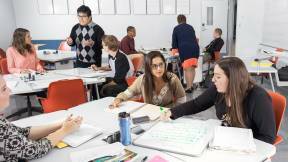 At the West Michigan Center for Arts and Technology, high schoolers practice creative problem-solving in “maker space” labs designed for hands-on learning. The vision of empowerment through making is foundational for an after-school program at West Michigan Center for Arts and Technology in urban Grand Rapids. In the facility’s arts and tech labs, teens selected from the city’s public high schools have opportunities to flex their creative muscle, working with professional tools and technology as they learn skills in a team environment with professional artists as instructors. The facility includes “maker space” labs for photography, video game design, ceramics, fashion, sculpture, comic + zine, street art, and audio and video production. 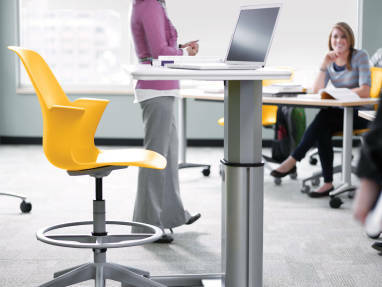 All are designed for active learning, easily reconfigurable depending on the task. Each year participating students choose a social problem and then apply design-thinking skills to creatively address it by making something. For example, this year they’re focusing on the problem of bullying. To address it, those in the photography team are exploring techniques to create portraits that capture the intrinsic beauty of each person. 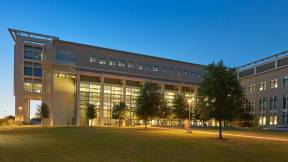 The University of Southern Mississippi is another institution that incorporated design thinking when creating its Think Center, an innovative teaching and learning center that offers spaces and services for faculty development and student engagement. 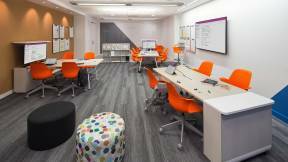 Included is an active-learning classroom that any professor can reserve and a variety of drop-in informal settings, equipped with whiteboards, markers, sticky notes and other innovation tools, for students working in teams or alone. Within and outside of academia, many say it’s an approach that is moving education in the right direction. 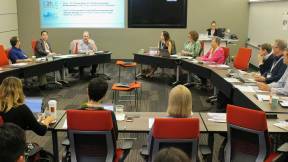 New ways of learning require new kinds of spaces, and some of the most progressive universities are modeling their newest learning environments on corporate innovation spaces. 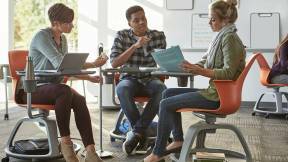 Based on insights derived from more than a decade of research into educational environments, Steelcase provides products and spatial concepts specifically designed to support active learning. 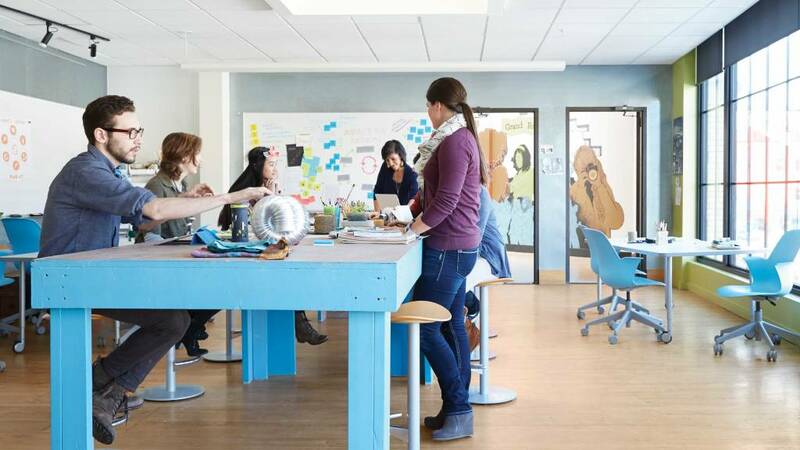 One prominent example: A small team of Steelcase researchers and designers collaborated with the d.school on aspects of the space they were creating. 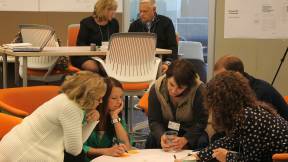 It has since become a widely emulated environment for project-based, creative learning. Teens selected from Grand Rapids public high schools have opportunities to flex their creative muscle at WMCAT, working with professional tools and technology as they learn skills in a team environment with professional artists as instructors. 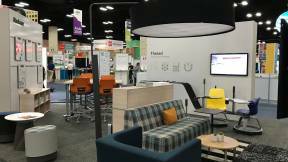 Make it inspiring: Bright colors, comfortable furnishings, daylight and access to the outdoors stimulate engagement. Ambient stimuli can foster creative thinking. Dull surroundings stimulate boredom. Make it flexible and make-your-own: Allow teachers and learners to configure the space to meet own their needs, recognizing these change from class session to class session and from one phase of the project to another. 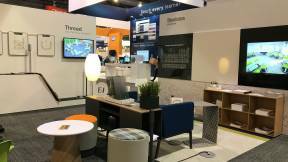 Mobile furniture is a must for configuring a variety of settings. 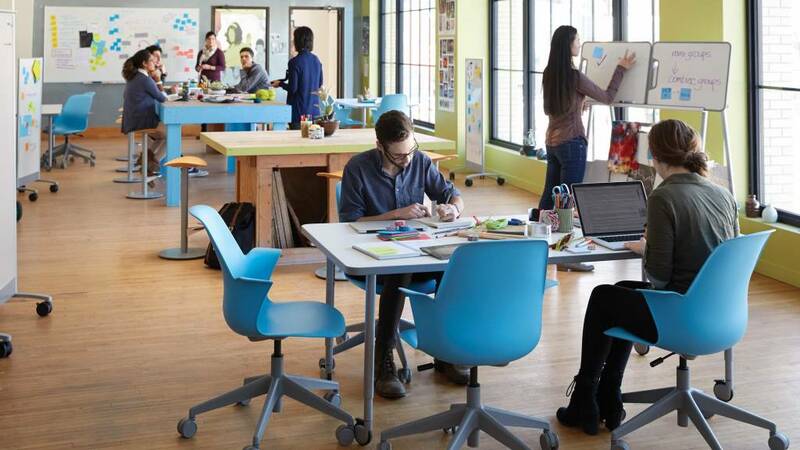 Create zones: Making and collaborating tend to be noisy, while contemplation thrives on quiet. 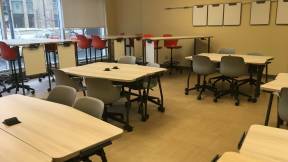 Make sure the layout and furnishings are fluid enough to support students who want to work alone between collaboration sessions. Especially if it’s a space that houses machines for making prototypes, separate thinking areas from making areas as much as possible. Be ready for mess: Arraying materials helps teams “think out loud” about ideas and possibilities. Make sure that work surfaces are large enough for teams to gather around, and include adequate storage for materials and work-in-progress. Leverage vertical displays: Working at a desk or office table is private to those around it, but mobile and fixed whiteboards let everyone share ideas in the making and exhibit successes. When it comes to whiteboards and markers, there is no such thing as too many. Support various postures: Physical postures and body movement can influence the creative process. In groups, standing can encourage interactions and engagement. For individual work, relaxed postures or walking can promote new ways of thinking. Make digital content-sharing easy: More and more, relevant content exists in digital formats. Choose technologies that allow participants to easily share what’s in their devices as well as what’s in their minds.